January 26, 2019. 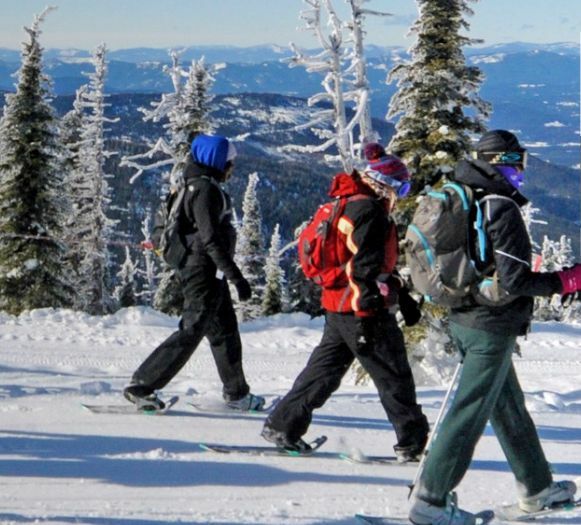 Hit the snow-covered trails at Schweitzer Mountain Resort! This resort in the rugged Selkirk Mountains of northern Idaho has 2900 acres of terrain and an average of 300 inches of annual snowfall, and this weekend they are hosting Winter Trails Day with free trail access to their snowshoe trails and the Nordic ski trails Yes, free! Yippee! Hike through old growth forests, challenge yourself with summit trails affording jaw-dropping views, or take one of the free guided snowshoe hikes offered throughout the day. Bundle up and head to Schweitzer Mountain Resort!